BUT JESUS SAID: "Let the children come to me. Don't stop them! For the Kingdom of Heaven belongs to those who are like these children." IN THIS LITTLE BOOK, it has been the purpose of the author to present to children, through "Joel," as accurate a picture of the times of the Christ as has been given to older readers through "Ben Hur." With this in view, the customs of the private and public life of the Jews, the temple service with its sacerdotal rites, and the minute observances of the numerous holidays have been studied so carefully that the descriptions have passed the test of the most critical inspection. An eminent rabbi pronounces them correct in every detail. 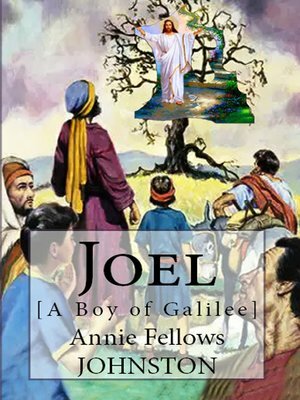 While the story is that of an ordinary boy, living among shepherds and fishermen, it touches at every point the gospel narrative, making Joel, in a natural and interesting way, a witness to the miracles, the death, and the resurrection of the Nazarene.